Like most individual, we all form the habit of self medication anytime we are having a headache. We go the closest pharmacy or drug store and request to one of our favourite drug for headaches or painkillers. Popping a painkiller every time you have a headache, without knowing the type of the headache, can cause more harm than good. Headache can be caused due to tension, sinus, migraine or any other health problems, so it is important to identify the type of headache and get treated accordingly. It includes extremely severe headache characterised by eye pain, drooping eyelid, redness and tears in the eyes, followed by runny or blocked nose. When you experience moderate to severe headache on one-side of the face, accompanied by throbbing feeling and nausea, it indicates migraine. It might last from few hours to days and occurs recurrently, once a week, month or year. Be it cold or allergy, it causes blockage of the sinuses, leading to pressure building in the head and radiating to the top of the head, below the eyebrows and around the cheeks or teeth indicating headache due to sinus infection. Although the exact cause is not known, it usually manifests when stressed or tensed. 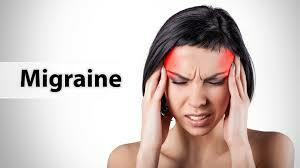 Also known as stress headache, this type of headache manifests as a tight band around the forehead. Caused due to a dysfunction of the muscles, nerves or joints in the neck, this type of headache causes pain to radiate from the back to the front of the head. The symptoms tend to aggravate or ease with a slight movement of the neck indicating neck headache. Known as temporomandibular joint syndrome (TMJ), it is caused when the joint is displaced, leading pressure and stretching of the nerves. It is characterised by pain in the jaw and ear, which radiates to the head, leading to severe headache, similar to a form of a tension headache.